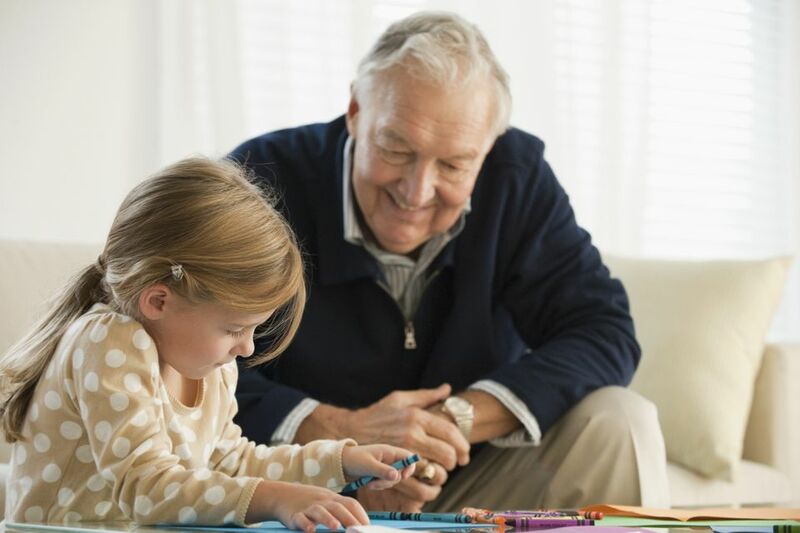 These free Grandparents Day coloring pages are the perfect way to touch a grandparent's heart this Grandparents Day when they get a colored picture from their grandchild. Once printed and colored by a child, they can then be made into a Grandparents Day card or given as a gift. Tip: You may need to download a PDF reader to be able to view and print some of these Grandparents Day coloring pages. Celebrate Grandparents Day even more with Grandparents Day freebies like craft projects and activities. Doodle Art Alley has a nice handful of Grandparents Day coloring pages that are all free for you to print. Included in the coloring pages is word art, flowers, awards, and more. There are also a few free printables here where the kids can color and write a poem or list what they love about grandma or grandpa. You can print these color pages by clicking on them once to open a PDF file within your browser. The Grandparents Day coloring pages at TheColor.com are not only cute - they're interactive as well! 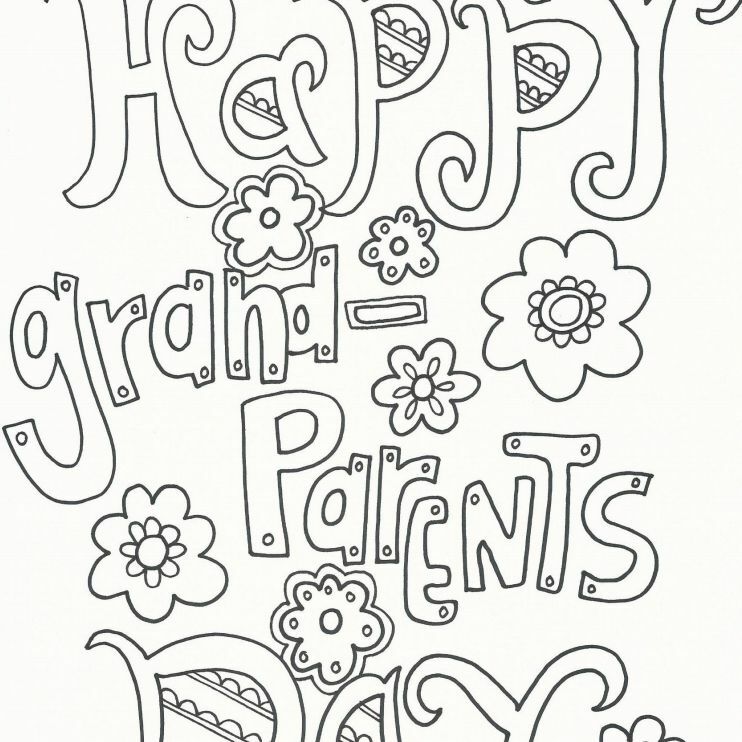 To color one of these Grandparents Day coloring pages click on one and use the tools to color in the picture. After your child is done simply print it in color and it's ready to go. At DLTK, you'll find Grandparents Day coloring pages especially for Grandma and some just for Grandpa. You can choose to print these already in color or in black and white so your child can color them in themselves. You'll also find some other Grandparents Day activities here such as crafts, doorknob hangers, gift bags and writing ​paper. I love the Grandparents Day coloring pages at SuperColoring.com because most of them say "Happy Grandparents Day" on them. This way you can print it, color it and it can double as a Grandparents Day card and a gift. Mom Junction has 10 free Grandparent's Day coloring pages that include images of children giving gifts, reading, walking, talking, fishing, and spending time with grandparents. Click on the thumbnail of the coloring page you like and then use the "Print" or "Download" buttons to get the free coloring sheet. Hello Kids has an impressive amount of free, printable Grandparents Day coloring pages that include grandma and grandpa playing tennis, skiing, driving, making cookies, jogging, reading, painting, and having fun with the grandkids in all kinds of ways. In addition to the coloring pages, there are also some awards for best grandpa and grandma that can be printed out and colored. Click on a thumbnail of a coloring page and then either color the page online or print it out to color it with crayons. There are only a few Grandparents Day coloring pages at Skip to My Lou but I had to include them because they are so well done. These are much more than coloring pages too, they have kids write down what they love about their grandparents and draw in their faces. The kids and the grandparents are going to love these.